This page has been viewed 76 times this month, and 36351 times total. Cartoon Characters: Woody, Buzz Lightyear, Jessie, Mr. Potato Head, Rex, Mrs. Potato Head, Hamm, Barbie, Ken, Wheezy, Buttercup, Twitch, Stretch, Lots-O'-Huggin' Bear, Dolly, Mr. Pricklepants, Sergeant, Lenny, RC, Trixie, Bookworm, Girl Doll, Boy Doll, Slinky Dog, Jack-in-the-Box, Peter, Lil, Chunk, Squeeze Toy Aliens, Chatter Telephone, Andy Davis, Molly Davis, Mrs. Davis. Produced By Darla K. Anderson, John Lasseter. Written By Michael Arndt, John Lasseter, Andrew Stanton, Lee Unkrich, Jim Herzfeld. Woody, Buzz, and the rest of their toy-box friends are dumped in a daycare center after their owner, Andy, departs for college. Meanwhile, Hamm, Rex and Mr. Potato Head begin a quest to find their long-lost twin brothers. "A Third Toy Story"" (Working Title) and "The Untitled Second Toy Story Sequel"" (Working Title). Production budget estimated at $200 million. You can watch this cartoon today on your computer. 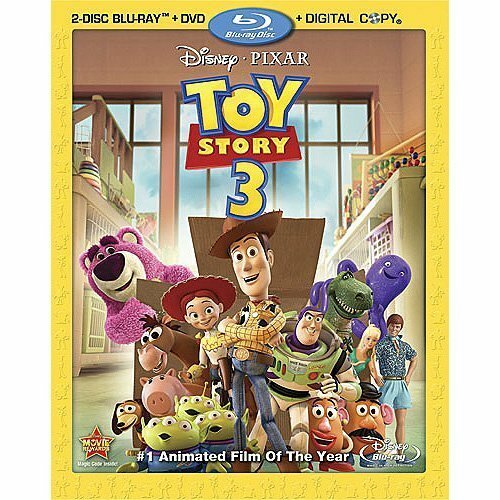 Just click below to start viewing "Toy Story 3" online now. Do you have anything to add to this page? Have we made any mistakes... or do you have any additional information about Toy Story 3? If so, we would love to hear from you. Please send us a quick note with your additions or corrections to this page, and we will make the corrections as soon as possible! 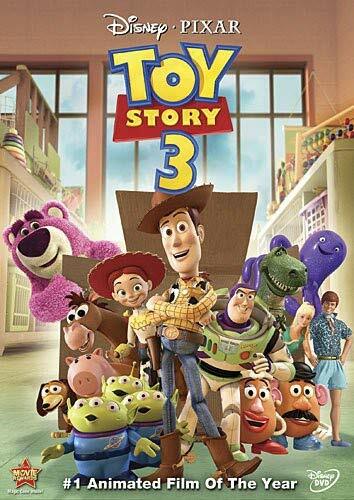 Do you love Toy Story 3, or do you think it is the worst cartoon ever? Let us know what you think! Surely you have an opinion... so share what you think. Take a minute and post your own comments about this cartoon here. Toy Story 3 by Big Cartoon DataBase is licensed under a Creative Commons Attribution-NonCommercial-ShareAlike 4.0 International License.